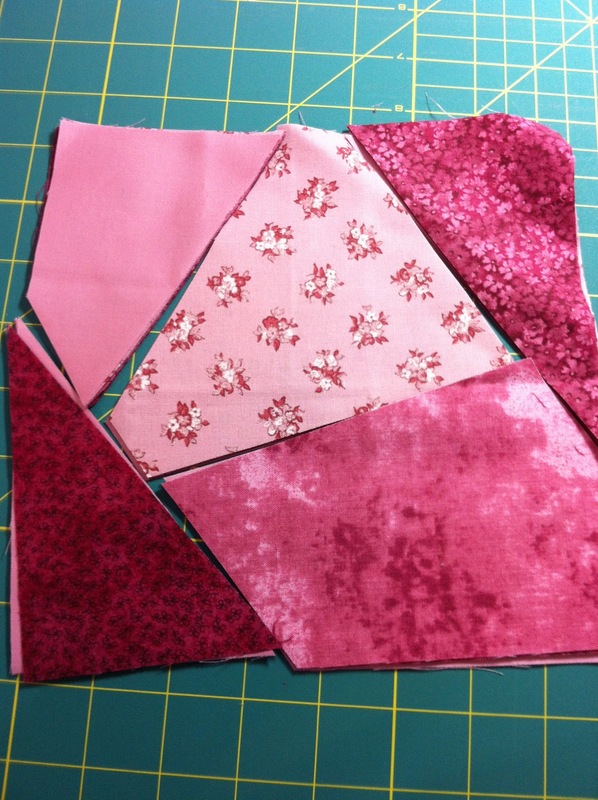 My sewing machine sat idle for most of the week, but today was my weekly sewing day with a couple friends. As it turns out, there were only 2 of us here at my house today. My friend, Marie, was working on a challenge quilt from her guild retreat and was adding some beading embellishments. Click to enlarge and check out the gorgeous beading on this one! While I was looking for some of my old craft supplies, I found this folded star pincushion kit that I started and didn't finish. It's now a little closer to being completed, but I need to find some fiberfill to stuff it. Although I love the look of the folded star, it was a little too fussy and time-consuming for my liking. The other project on my table today was the Granny Square quilt. 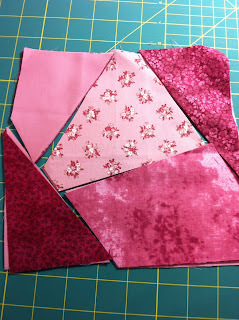 I have a couple blocks sewed together now and I can tell this is going to be another favourite of mine. What unfinished projects are lurking hidden in the back of your closets? The snow is finally gone and the grass is starting to turn green and that makes it hard for me to stay focused on quilting projects. Saturday was the local Dalemead Quilt Guild's annual Stone Soup Day, where we all get together and work on quilts that will be given to local charity groups. 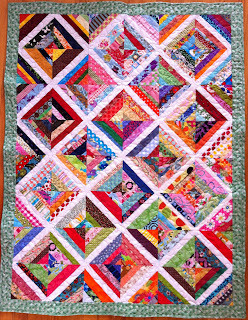 Above is a baby quilt/toddler quilt that I donated from blocks received in the Scrap Busters Swap. The green border is a reproduction print that I already had and the backing is a flannel, also from my stash! We had a great time, so much fun that I forgot about taking pictures until we were packing up! By then all the quilts were put away! With a fresh week and a clean design wall, the rest of the 3x6 bee blocks were put back up. 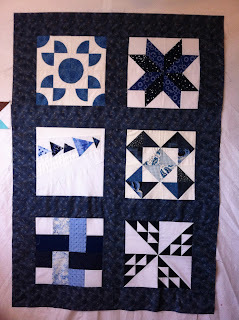 These are the quilt blocks that were primarily blue and white and I framed them with a blue print fabric that I was hoarding had in my closet. It is a good size for a baby quilt, but on the wall, I thought it wasn't the right mix for a baby. 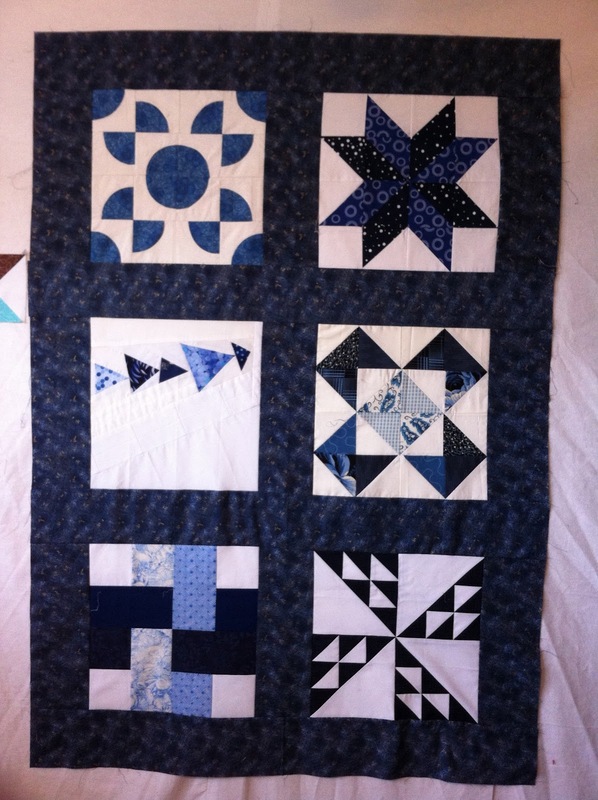 I've pulled out an assortment of blue fabrics and will be adding to all sides of this quilt to make something at least lap size. Stay tuned to see what happens next! And yesterday I was working on the Dr. Seuss baby quilt - it's all quilted and the binding just about finished. Last week, I missed my WIP Wednesday, but I did finish another baby boy quilt, took a couple photos and put it up for sale. Thanks for all your comments! 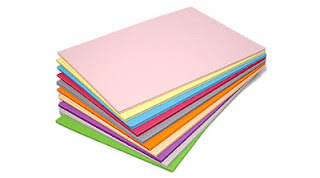 I really appreciate hearing from all of you! 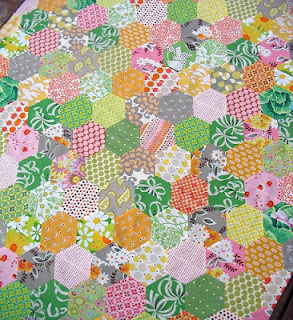 I think my Granny Square quilt is working it's way up to the top of my to-do pile. 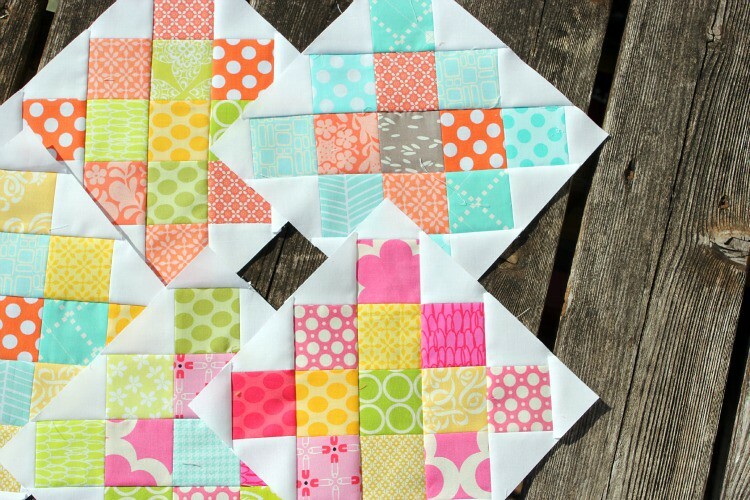 This is such a great project to use up some of those scraps in your fabric stash. 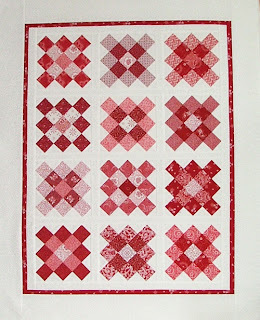 While I'm procrastinating waiting to start, here's some great examples of Granny Square quilts from all over the web. 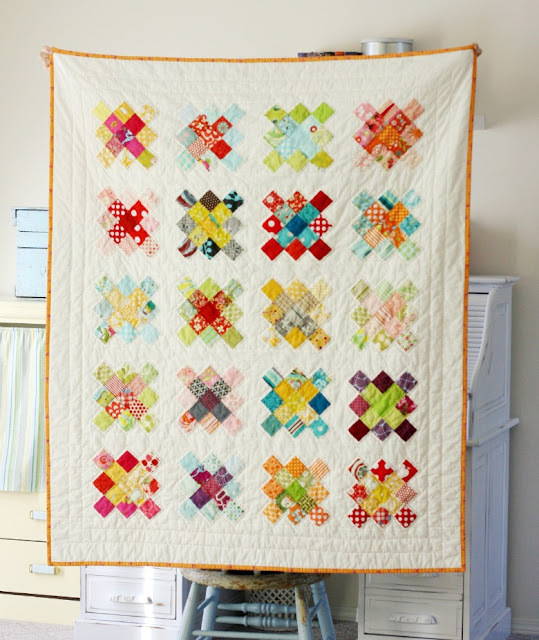 Hope you enjoyed a little quilting inspiration! 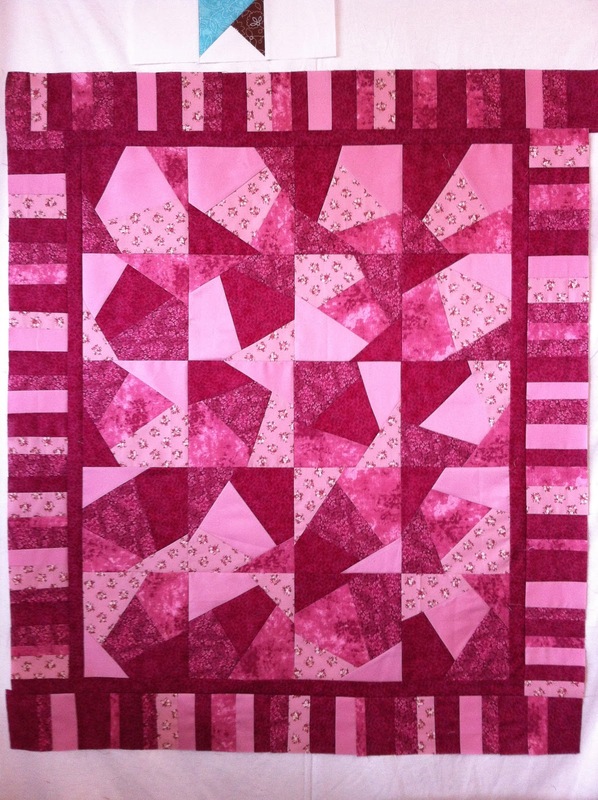 This custom quilt was a joy to complete from start to finish. 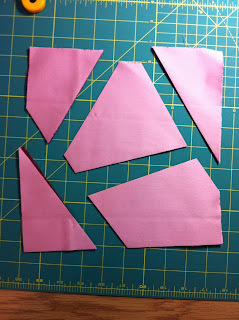 Although paper piecing is not my first choice for constructing a full-size quilt, this quilt pattern needed the precision that paper piecing provides. 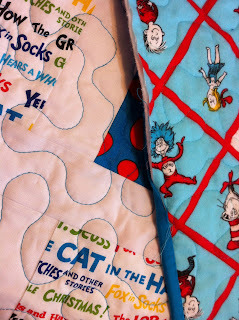 Click to see close up of the quilting! I loved the fabrics and this quilt pattern works well with the fabrics chosen. 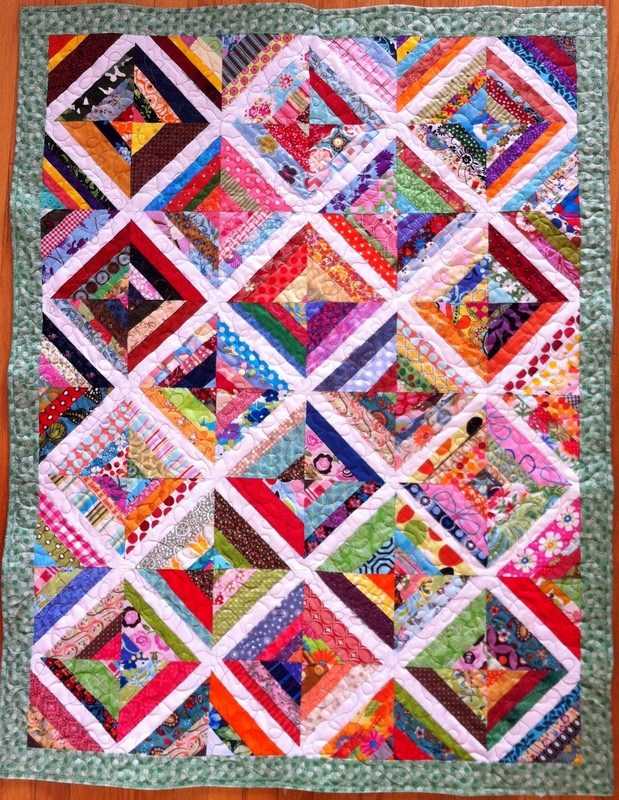 Marie of Blueberry Hill Quilts in Chestermere, Alberta, did a beautiful job on the quilting (as always!) 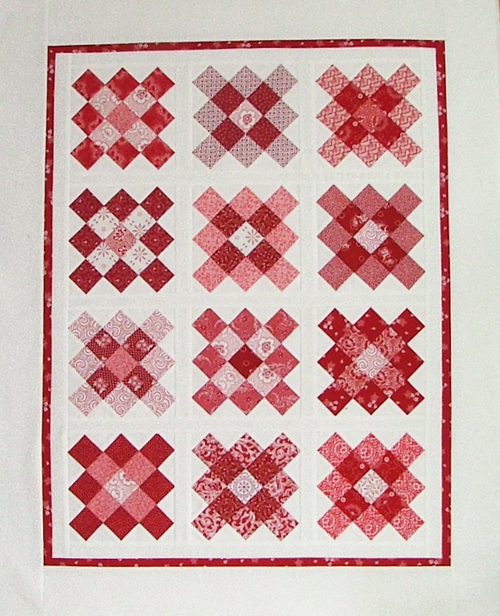 and selected a paisley floral pattern that is just stunning on the completed quilt. Looks great on my wall - maybe I should make one for me? 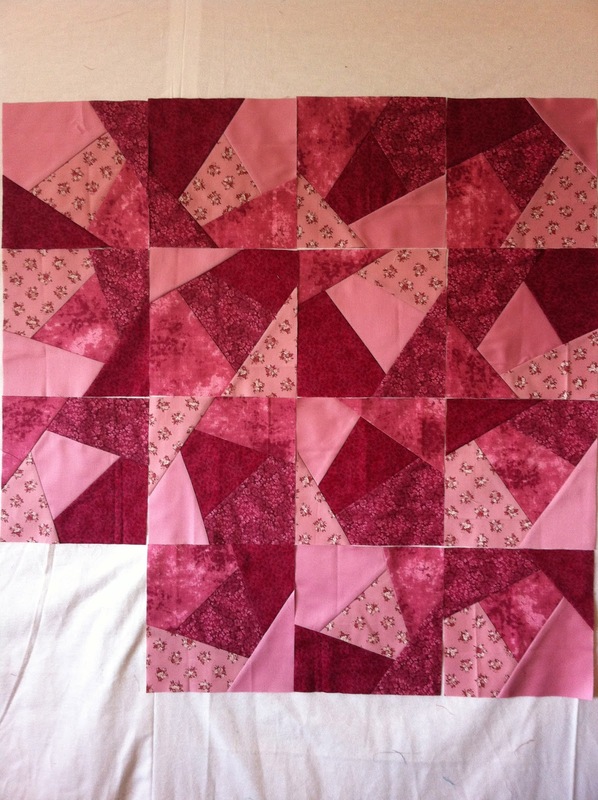 Someone will need to remind me to take pictures of the FINISHED quilt - the pictures I took were before the binding was sewn down and I packed the quilt up and forgot to rehang it and take some pictures before packing it up.